The retro-designed Fuel boots from TCX are made from a full-grain leather outer with a waterproof inner membrane to keep the worst of the British summer out. 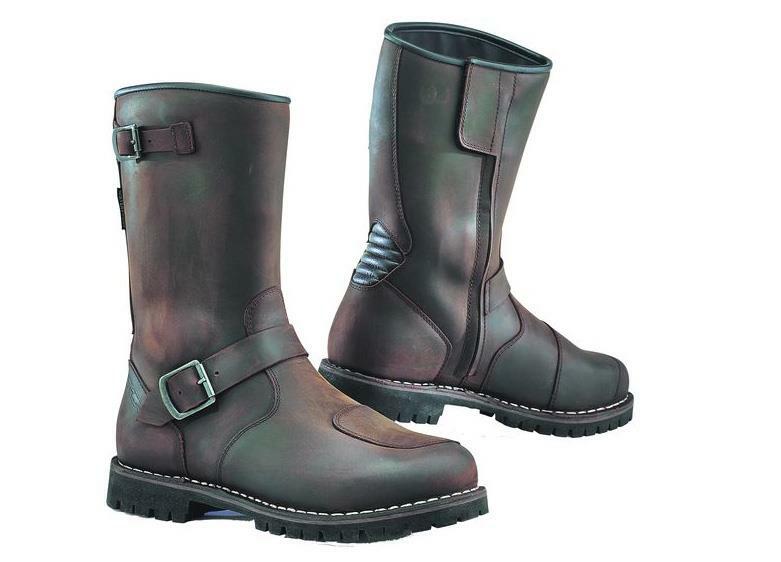 They might look a little old, but the boots are fully CE certified to the latest EN 13635:2015 standard. What used bikes would we buy for £3000? Despite the buckles on the outside of the boot they're actually secured via a zip on the inside of each boot, although the buckles are adjustable. The Fuel boots use TCX's Comfort Fit System which allows the boots to be shaped on a mould that reproduces the anatomy of the foot. TCX say this system makes them exceptionally comfortable when used for long periods at a time.